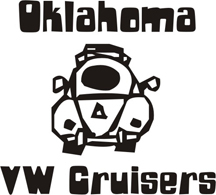 The 31st Annual Guthrie Oklahoma Road Celebration Open Car Show will be held Saturday, September 20, 2014, in the beautiful and shady Mineral Wells Park, located just South of Downtown Guthrie on Division Street. Over $800 in cash prizes and lots of neat door prizes again this year! Registration will be from 8:00 until 11.00; trophy presentation will be no later than 3.00 pm. Pre-Registration is $15.00, if received by September 18th; day of show registration will be $20.00. Five ball judging with trophies in 22 classes. There will also be several special trophies awarded for best paint, best interior, etc. Send pre-registration information to: Guthrie Flashbacks, P.O. Box 473, Guthrie Oklahoma, 73044. We will need your name, address, phone #, email address, Make, model, year of your vehicle and your club affiliation. FREE coffee and donuts. There will be music, 50/50 pot, crafts, food vendors and face painting. THERE WILL BE NO CHARGE FOR VENDOR SPACES! However, spaces will be allotted on a first-come, first-served basis and may be limited as to type. For further information, call Grid @ (405) 282-6238 or Penny @ (405) 282-7343. Like us on Facebook (Guthrie Flashbacks Car Club).